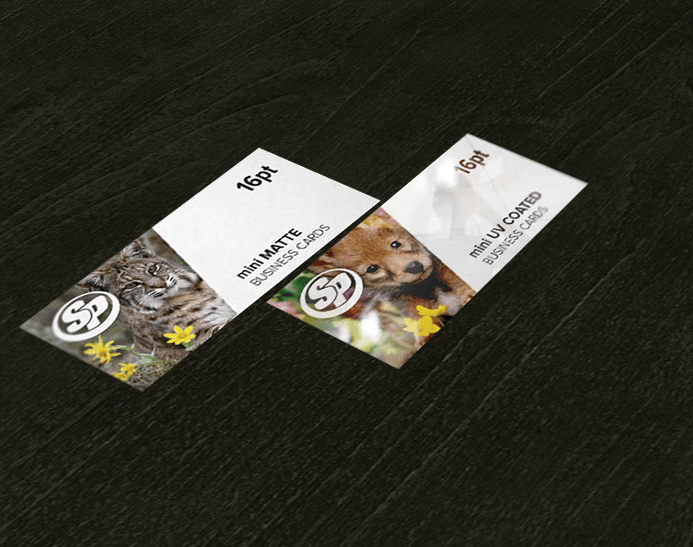 All cards are printed with either a UV gloss coating or dull/matte finish. 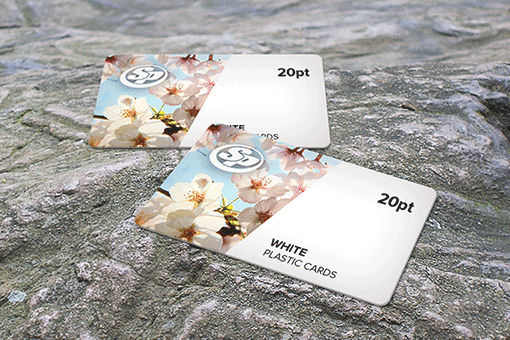 If using the back side for appointment cards we recomend not ordering UV gloss on the back side. Please activate the gloss front only button. 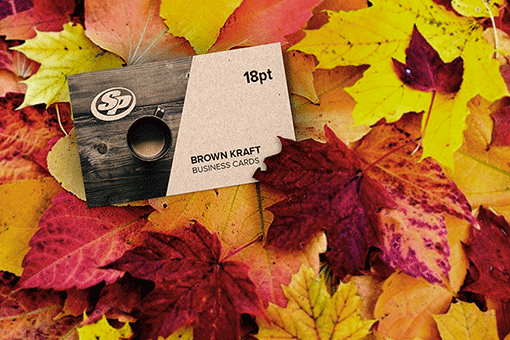 Paper Type 14 Pt16 Pt Super Thick! 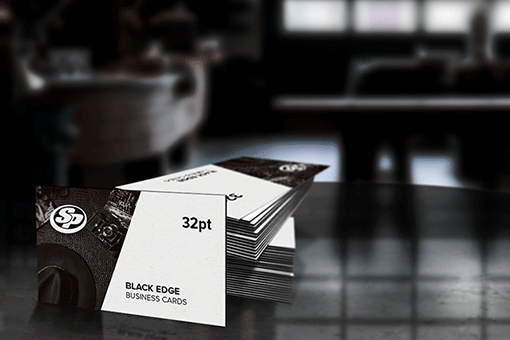 Whether you are small business owner, midsize company or a tribal employee, mini gloss UV or matte finished business card shapes the right first impression about you and your company. 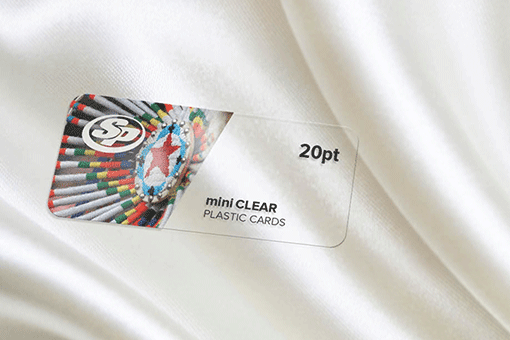 With Stigler Printing, get your mini business cards on premium 16 point stock in gloss UV and matte finishes. 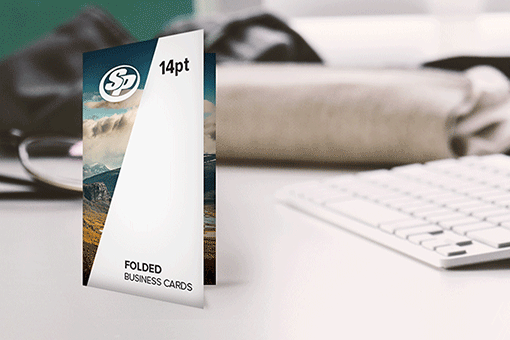 Choose from a variety of different sizes to print your different ideas and designs or upload your own design for efficient and fun mini-sized 2” X 2” business cards. 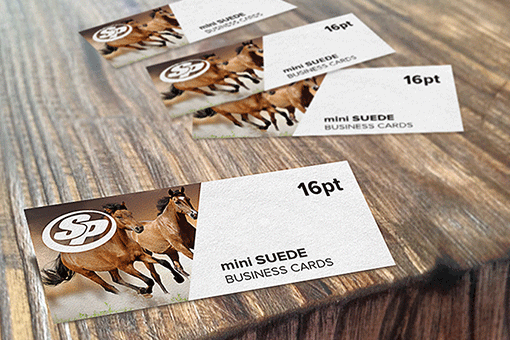 Start your mini Glossy and Matte business cards printing from Stigler Printing and add some originality to your business or brand.